This maritime history “from below” exposes the history-making power of common sailors, slaves, pirates, and other outlaws at sea in the era of the tall ship. 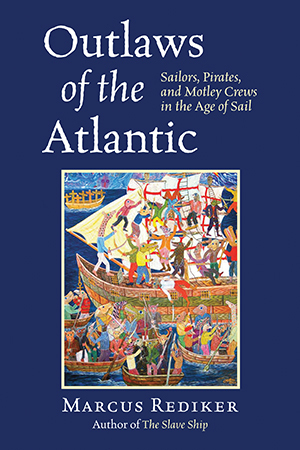 With his signature bottom-up approach and insight, Rediker reveals how the “motley”—that is, multiethnic—crews were a driving force behind the American Revolution; that pirates, enslaved Africans, and other outlaws worked together to subvert capitalism; and that, in the era of the tall ship, outlaws challenged authority from below deck. By bringing these marginal seafaring characters into the limelight, Rediker shows how maritime actors have shaped history that many have long regarded as national and landed. And by casting these rebels by sea as cosmopolitan workers of the world, he reminds us that to understand the rise of capitalism, globalization, and the formation of race and class, we must look to the sea.